Create a chic living space with a hint of tropical style with this cocktail table. 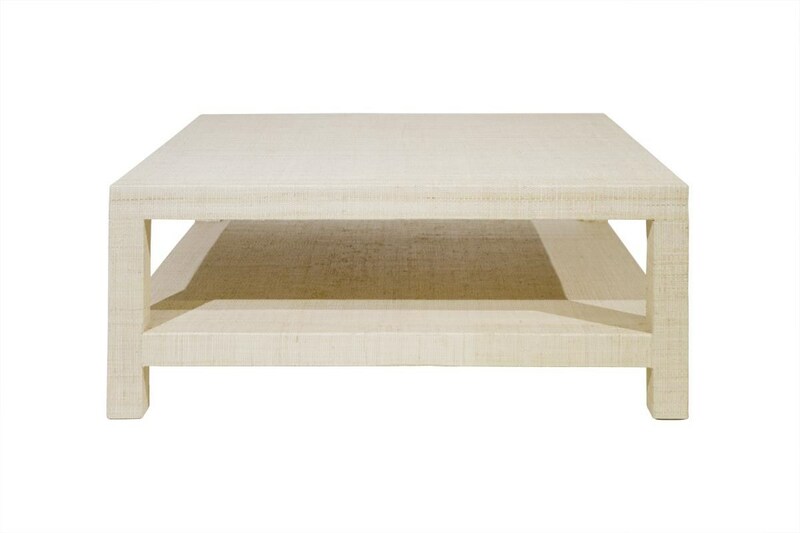 The table's wood frame is wrapped in bleached raffia for a textured tropical appearance. Clean lines combine with the bleached raffia treatment for a contemporary silhouette and tone. One shelf offers simple storage and display for coffee table books and magazines.